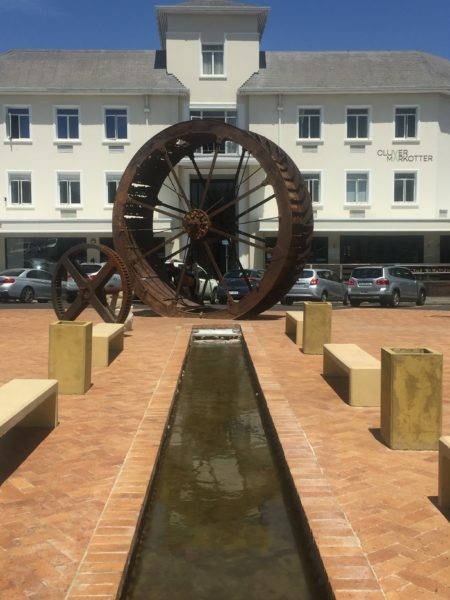 The presence of Nieuwe Molen, the third wheat mill built in Stellenbosch, is being re-established at Meulplein near the Braak, thanks to a project undertaken by the Stellenbosch Arts Association and the municipality. Strijdom van der Merwe handled the design. Because the mill cannot be placed in its historically correct position (the site has been built up), this should be seen as an art installation. 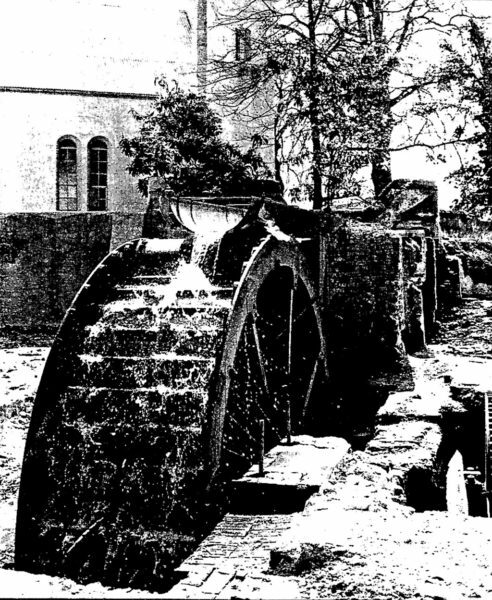 The mill was taken in use in 1749. The site on which it stood was sold in 1963 to make way for the then OK Bazaars. The iron wheel in this installation was commissioned as a replacement for the original wooden wheel after a devastating fire in 1803, which also destroyed the original wheel. 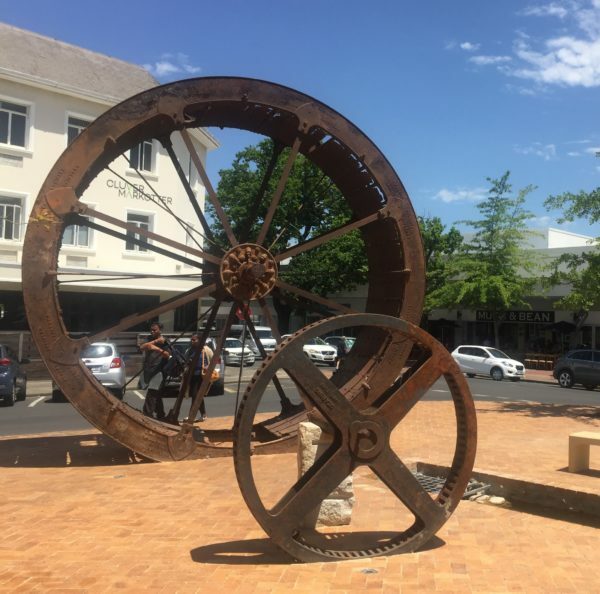 The placement of the mill creates an opportunity to reconnect historically important points in Stellenbosch once again. This may lead to design opportunities within the village plan that could enhance the experience of the history of this town. We include one document and the link to Stellenbosch Heritage Foundation website illustrating the design opportunities.